KiwiSaver is an easy and affordable way to save for your retirement. A KiwiSaver Fund is made up of contributions from you, your employer and the government during your working life, and invested by a KiwiSaver Provider. As with all financial decisions, it is important to choose the best KiwiSaver Fund for you. 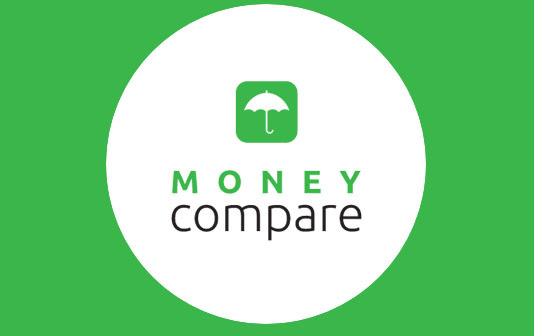 If you are thinking about joining KiwiSaver or thinking about switching your KiwiSaver Provider, Money Compare can help. Use our KiwiSaver Comparison Tool to compare KiwiSaver Funds, to help you choose the KiwiSaver Fund that suits you best. Our Retirement Calculator and Early Retirement Calculator can help you to start planning how much money you will need to have for a comfortable retirement. KiwiSaver is a voluntary work-based savings scheme set up by the government to help New Zealanders to save for their retirement. It can help you save for a more secure retirement, or help you buy your first home sooner if you are eligible for a HomeStart Grant. The contributions from your employer and the government are a great boost on top of what you may be able to save on your own outside of the KiwiSaver scheme. Your KiwiSaver Provider manages and invests your fund on your behalf. It’s important to choose the right KiwiSaver Provider, as once you add or minus their investment returns and fees, minus any withdrawals, and taxes you pay – you are left with your retirement savings. - The government will make an annual contribution towards your KiwiSaver account as long as you are a contributing member. - The amount the government contributes (member tax credit) depends on how much you put in your fund. As long as you contribute a minimum of $1,042.86 a year, the government will add another $521.43. That’s a return of 50% on the first $1,042.86 you invest. Where else can you get this sort of return? - You may be eligible to withdraw some or all of your KiwiSaver savings to put toward buying your first home. After 3 years of contributing to KiwiSaver, you may be entitled to a KiwiSaver HomeStart grant. You can join KiwiSaver if you are aged under 65, normally live in New Zealand (with some exceptions), and are a New Zealand citizen or entitled to live here indefinitely. Membership is voluntary, so you don’t have to be a member. Inland Revenue have a great guide about who can join KiwiSaver and who isn’t eligible to join KiwiSaver. You can choose to join the KiwiSaver scheme of your choice directly. You can do this through Money Compare by using our KiwiSaver Comparison Tool and clicking apply on your chosen fund. If you are eligible when you start a new job, and you are not already a member, your employer will automatically enrol you. You will join your employer’s chosen scheme (if they have one), or Inland Revenue assign you to a default KiwiSaver Scheme. You can choose your own scheme after 3 months of contributions. You can choose to join KiwiSaver through your employer by asking for an employee information pack and completing the KiwiSaver deduction form. You will join your employer’s chosen scheme (if they have one), or Inland Revenue will assign you to a default KiwiSaver Scheme. You can choose your own scheme after 3 months of contributions. When you join KiwiSaver through your employer, Inland Revenue will sign you up to your employers’ chosen scheme (if they have one), or a default KiwiSaver Scheme. Within 3 months of your first contribution being deducted from your pay you have the option to choose your own scheme. You can do this through Money Compare by using our KiwiSaver Comparison Tool and clicking apply on your chosen fund. There is no one-size-fits-all solution when it comes to choosing a KiwiSaver Fund. You will need to consider your age, how much risk you want to take, and when you plan to withdraw your KiwiSaver fund. Whilst fees are an important part of the decision, there are a number of factors that help build a picture of the best KiwiSaver fund for you. Our KiwiSaver Comparison Tool allows you to compare key information about the different KiwiSaver funds available. You can review each fund’s performance over the last 5 years, the type of fund (defensive, conservative, balanced, growth, or aggressive), membership fees, and the estimated annual fund charge. Save the funds that look best to your KiwiSaver Comparison List. You can then compare your top selections side-by-side in more detail, to help you decide which KiwiSaver fund is best. What types of KiwiSaver Funds are there? Most KiwiSaver Providers describe their fund according to their risk level. The risk level is determined by the percentage of the fund that is invested in growth assets. Funds that invest a higher proportion in growth assets are exposed to higher levels of risk, but also have the potential to provide higher returns over the long term. - Cash / Defensive funds (low-risk profile) are the most conservative type of fund. Your investment is mainly kept as bank deposits and other fixed interest investments. They may be a good option if you are planning to retire soon and don’t want to take the additional risk associated with higher growth, riskier funds. - Conservative funds (low to medium risk profile) are also a lower risk option. 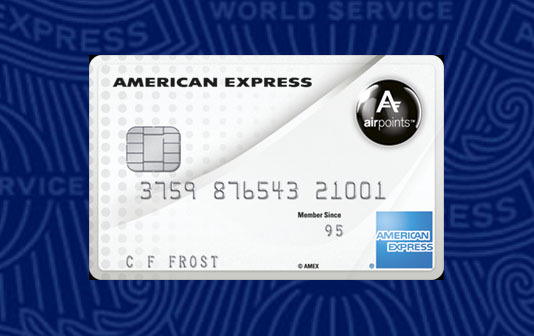 They are the default type of scheme you will be enrolled in if you haven’t chosen your preferred scheme. Usually, around 10-35% of the fund is invested into growth (higher risk) assets like property or shares. - Balanced funds (medium risk profile) split their assets more evenly between growth investments (25-63%) like shares and property and lower risk investments like bank deposits. - Growth (medium to high-risk profile) invest 63-89.9% of the investment into growth assets, like shares and property. They provide a higher potential for the investment to grow and are better for investors who intend to leave their money in KiwiSaver for a longer term. - Aggressive (high-risk profile) invest 90-100% of the investment into growth assets, like shares. This is the highest risk option as they aim to provide strong long-term growth, but with lots of ups and downs along the way. When comparing funds from different providers it is helpful to compare funds with similar levels of risk. The more growth assets there are in the fund (for example an aggressive fund), the higher you’d expect the fees to be, as it is more expensive to manage.